Cruisemaster products are often copied but never matched. So what are the key ingredients that make Cruisemaster and their range of products the leaders in the market? One could easily say it’s their engineering expertise; with a dedicated engineering team and a continuous development cycle, Cruisemaster is continuously ahead of the trends and engineering breakthroughs. It would be fair to leave it there, but while Cruisemaster’s products are designed and created in house it’s their real life testing which sets the company apart. From the very early development of Cruisemaster (then Vehicle Components) as a company, real world application of their products had always been a premium ingredient in their formula. If Cruisemaster was to develop products for the harsh Australian environment the only fair test of quality is out there amongst it. Being submerged in creek crossings, components covered in bulldust and shaking the life out of vans on heavy corrugations is the only way to know your product is ready for to conquer the Australian outback without limits. 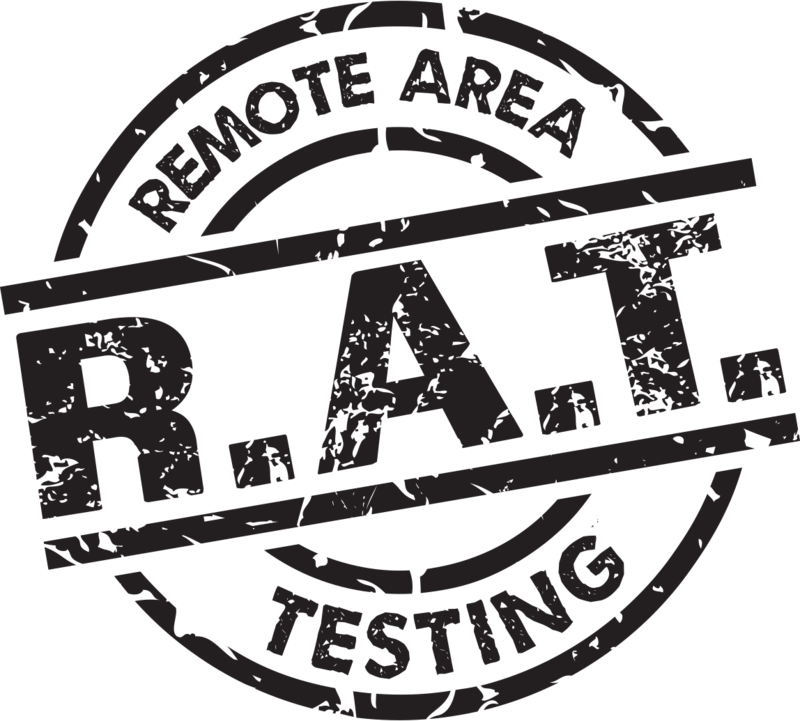 This real world testing would cement its place as a cornerstone of the business when it officially took its current form known today as the R.A.T. Run. The R.A.T. Run short for ‘Remote Area Testing’ Run is an annual proving ground where Cruisemaster takes prototype products on extensive testing trip through some of the harshest conditions in Australia to qualify the products being ready for release into the market. This is a look back on the R.A.T. Run, testing without limits. In 2009 Cruisemaster’s R.A.T. Run was officially launched, this would see the trials and tribulations of real life testing in remote areas of Australia documented in full with a level of transparency only seen by a company with full confidence in their processes and products. This trip saw the Cruisemaster team cover over 6,000Km’s on a round trip from Brisbane to Cape York via the Old Telegraph Track, Battle Camp Road and Bloomfield Track. This trip with its corrugations and water crossings would put the suspension systems and couplings being tested through some of the toughest conditions in Australia including the 5 metre drop of the New Gunshot at Gunshot Creek and Nolans Brook crossing at the back end of the Telegraph Track. 2009 saw the Cruisemaster XT Coil Independent Arm Suspension System put through this proving ground, this being a development offshoot from the already available Cruisemaster XT Airbag Independent Arm Suspension System. The vessel for fitment of the prototype XT Coil on this trip was a Lifestyle Camper Trailer, while this had the essentials needed for a long trip like this it was a long way from the R.A.T. trailer that would be developed in years to come. Also being put through its paces was a Pacific Aluminium Camper Trailer fitted with Economaster Coil Independent Arm Suspension System. You can be forgiven for not recognising the Economaster name as this entry level more budget considerate member of the Cruisemaster family was short lived in the market place with consumers preferring to spend the extra money for XT. Throughout the trip components such as shock absorbers and coil springs would be tested and then swapped out with several variants to ensure the end product would consist of the most suitable componentry. Each of these trailers were also fitted with the newly released DO35 3.5 Tonne Off-Road Drop-On Coupling. The DO35 had seen some significant improvements in design and ease of use in comparison to its predecessor the AT35. This was the introduction of Cruisemaster’s patented pin design that revolutionised off-road couplings. 2010 the Cruisemaster team made their way from Brisbane to Birdsville through to the Flinders ranges and back again, this time with a Complete Campsite Exodus Barrington and modified Cruisemaster test trailer in tow. Some heavy rain resulted in large portions of the planned tracks being closed and what was open was kilometre after kilometre of mud. This making a trip the Cruisemaster team wouldn’t soon forget. Out on test for this R.A.T. Run saw both coil and airbag variants of the Cruisemaster XT Independent Arm Suspension systems with new design A-frame arms, a DO35 V1 3.5 Tonne Off-Road Drop-On Coupling and a prototypes DO45 4.5 Tonne Off-Road Drop-On Coupling. This trip would see the introduction of MoTec race-car performance measuring equipment to the test vehicles and a GoPro to better capture under chassis footage in HD. The R.A.T. Run also became more interactive with the introduction of an online tracker on the business website to see the teams progress daily. The tow vehicles also received their 1st major upgrades from their stock form. With the inclusion of after market clutch, exhaust system and Dyno tune; the Landcruiser 100 series alone increased its power by 15%. After 2 successful years of thorough Remote Area Testing Cruisemaster took a massive step towards the program being what it is today. In 2011 we saw the inaugural trip of the dedicated R.A.T trailer, a customer built test trailer with all the essentials required not only to survive these remote areas but to capture the engineering data Cruisemaster products are measured against. The new look R.A.T. trailer included everything from water tanks to permanent MoTec technology with data logging. This years R.A.T. Run would once again put several prototype products through their paces including; XT Coil components including shock absorbers and a prototype variant of the DO35. The 2011 R.A.T. Run was a 13 day, 7,500Km trip around the Simpson with Uluru the target. 2011’s trip was a true lesson in the unpredictability of remote Australia. Despite some set backs along the way the team couldn’t resist taking on Big Red in the 100 series on the way back. But how did the testing go? After the trip there were a few issues with some of the MoTec measuring sensors so a visit to MoTec was in order. When MoTec professionals who see race cars getting pushed to their limits day in day out tell you they have never seen their equipment put through this extreme of conditions you know you’ve done your testing correct and without limits. 2012 was the toughest R.A.T. Run to date as the Cruisemaster team made their way to Alice Springs. While the testing equipment hadn’t changed much over the past 12 months the way this adventure was captured had; now as well as stills and moving cameras and GoPros the Cruisemaster team also welcomed its 1st drone. In terms of what was tested on the trip there were 2 hero products in 2012; the DO35 V2 which once released to the market would become one of the most popular products in Cruisemaster history and a top secret semi off-road suspension that wouldn’t be revealed for another 12 months. So why is the 2012 R.A.T. Run called a testing time? 160Km’s outside of Alice the R.A.T. trailer suffered from a chassis failure; this meant 2 members of the team were left to camp out in the desert with the breakdown while the other 2 team members headed to the closest town for help. Its times like this you become unquestionably aware of how important quality is when venturing out into the expanse of the Australian outback. The unique one off subframe designed specifically for the test trailer developed a crack putting a major hold on their journey. But the key takeaway from this situation wasn’t the failure of the subframe after 5 days of heavy corrugation but that the top secret prototype road suspension underneath had handled the terrain without an issue. In 2013 the Cruisemaster team tackled a route consisting of 5,500Km’s heading North to Karumba via the Burke Development Road. This year’s test would be a bit different from previous years as the Cruisemaster team wouldn’t be seeking just the most extreme off-road conditions but instead a mix of sealed and unsealed roads. They would be testing a new prototype suspension under the moniker “Project Nelson”, you might know it better as the name it went to market as; CRS ‘Country Road Suspension’. This lighter weight suspension takes the lessons learn from years of XT development and applies these findings to a new application. Along with the CRS Cruisemaster were also fine testing several new XT components including foam filled heavy duty shock absorber for the XT, XT anti-roll bar, bolt on stub axles and machined hinges. The trusty DO35 and DO45’s are also along for the ride and more testing. The team much like last year also continued to find the harder you push your testing the more repairs are needed along the way, while the suspension was holding up well the 2nd trailer was struggling at times. Again suffering major cracks in the structure appeared, requiring repair in Karumba. The R.A.T. Run is typically associated with testing of Cruisemaster products not services but that wasn’t necessarily the case in 2014, with the opening of the Cruisemaster Service Centre the previous year the Cruisemaster team decided to put their skills to the test as well. The team purchased a caravan and had the team in the service centre retrofit Cruisemaster CRS suspension to participate in that years R.A.T. Run. Along side this caravan the R.A.T. trailer would be running a top secret new prototype suspension system with airbags and hydraulic disc brakes. The 2014 R.A.T. Run would venture into NSW for the 1st time following the Darling from Burke to Menindee before heading north and eventually back to Brisbane covering 4,000Km’s. On this trip we would see how important real life testing is, the prototype suspension needing some modifications mid trip due to contact with the airbags. Having a specially built test trailer means the Cruisemaster team had the tools required to grind back some excess from the arm and remedy the design issue. During this trip the Cruisemaster team tackled the Northern Highway towards Tibooburra, just a month earlier there had been a newspaper article about the condition of the road and how it had shaken caravans apart. The Cruisemaster suspension got through without a hitch while the caravan itself took a battering with the rooftop solar panels piercing through the roof due to how heavy the corrugations were. What was a secret prototype in 2014 had now been christened the Cruisemaster ATX, a premium heavy duty all-terrain trailing arm suspension system perfect for the increasingly common large scale caravans and camper trailers. 2015’s R.A.T. Run would put this new system through its paces like so many products before it as the Cruisemaster team headed back up to the Cape. Tackling the treacherous 5,000Km’s course in just 8 days. Even after testing as a prototype the previous year a lot of engineering had gone into improving the suspension system over the past 12 months and on this trip to the Cape both the suspension and the team would be tested to levels they hadn’t previously experiences. After travelling on some prolonged corrugations, the MoTec equipment was picking up some high temperatures from the shock absorbers leading the Cruisemaster team to pull over, on review it was found the sub frame being used had lost a few bolts over the corrugations adding to the teams woes. Once the team pushed through to Coen some repairs and modifications were needed, replacing bolts and even welding the subframe to the chassis in points to keep the team going. But the sub frame wasn’t the only issue; placement of shocks were causing them to overheat and the suspension system was struggling to hold its camber over the rough corrugations of the track. And these were the issues the team could see, they never know the full extent of the products performance until the full product strip down at the end of the trip. So while the Cruisemaster team made it to the Cape and back that isn’t the measure of success the team is after, the R.A.T. Run is all about testing without limits, so when a product does fall short they can take their learnings back to the workshop and start engineering solutions. After implementation of a number of engineering changes based on the lessons learn from 2015’s trip to the Cape the Cruisemaster ATX suspension system under went testing in Anglesea AARC south-west of Melbourne in preparation to tackle the R.A.T. Run again, while a track is a good environment for testing certain elements the remote areas of Australia is where Cruisemaster products really prove their place. Also out on test we see the 1st R.A.T. run outing for the DO35 V3, still a year out from release to market it was going through the rigors of the R.A.T. Run to prove its place in the Cruisemaster catalogue. The Old Telegraph Track is the perfect proving ground for an off-road coupling; with multiple creek crossings and some acute angles to be traversed all features of a coupling are put to the test. This trip saw the team towing the test trailers along tracks stand-alone 4wd’s were turning around at. This R.A.T. Run was a clear contrast to the 2015 trip and an unquestionable success with the ATX excelling in what would be its market configuration and the DO35 V3 conquering all obstacles with ease. After years of the annual R.A.T. Run you would think they would get easier with time, that was certainly proven not the case in 2017. The 2017 R.A.T. Run saw the Cruisemaster team heading out to Alice Springs with yet another prototype suspension system. But this year it wouldn’t just be new product being tested but also a new tow vehicle; the Landcruiser ’76 purpose bought and modified for the R.A.T. program would be facing its 1st R.A.T. Run. It didn’t seem like anything escaped the 2017 trip unscathed; with 2 shattered rear windows and failing brakes on the ’76, failing diff on the 200 series Landcruiser and cracks to the test trailers and most notably a crack in a prototype suspension arm. Once again learnings would be taken, and improvements made from the R.A.T. Run to ensure before a product is released to the market it’s up to adventure without limits. After further fine tuning that prototype suspension system would later be released in conjunction with Patriot Campers as X-Cruise; a custom designed system to suit their award winning X1 and X2 camper trailers. Check out the coverage of 2018 on Youtube! Once you've seen the full series come back here for the write up. To check out videos covering the R.A.T. Runs click here. Subscribe to our Youtube for extended R.A.T. Run Coverage.